Hair loss treatments ? Do you suffer from thinning hair and hair loss? 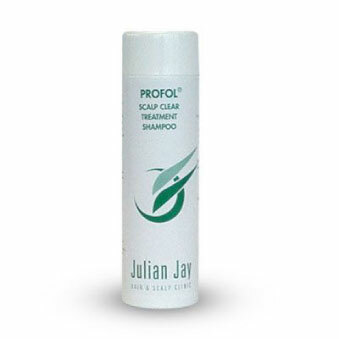 Julian Jay hair and scalp treatments have been available to the public for over 30 years. This long established Hair and Scalp Clinic is committed to providing its male and female hair loss clients with only the finest & most effective treatments available to help combat thinning hair and hair loss. Hair loss prevention. You can order from this Web Site with total confidence. We guarantee that you will receive your order. We offer both male hair loss treatment and female hair loss treatment. Monday to Friday or by mail. This is the new stronger alternative to Profol Original Formula Shampoo. This incredibly effective formulation is designed to be used if your hair loss is severe or you have already lost your hair and re-growth is particularly stubborn. This formulation will quickly bring excessive hair loss under control. 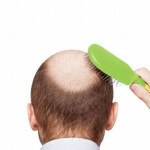 In cases of baldness you must take a sensible and patient approach to treatment. The most effective relief for dandruff, dry, itchy, sore and flaky scalp conditions. 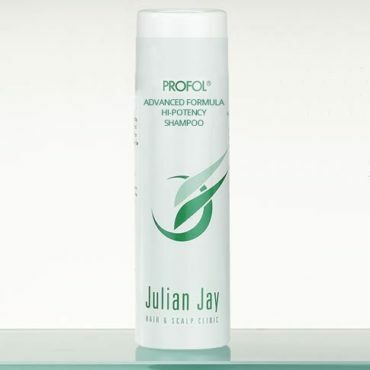 Profol Scalp Clear Treatment Shampoo is not like any other daily use shampoo. The careful formulation ensures that it will not strip away essential oils or damage delicate new skin. This is the new stronger alternative to Profol Original Formula Lotion Spray. This advanced formulation is particularly effective in cases of severe hair loss or when you have lost your hair and re growth is particularly stubborn. Pro-Active instant hair conditioning treatment visibly thickens the appearance of fine and thinning hair, restoring body, volume and shine. It will also restore the moisture balance to dry, damaged, tinted and permed hair. Since being founded in 1967 this clinic has been dedicated to providing its patients with excellence in hair loss treatment. For over thirty years we have been working with the problem of hair and scalp disorders. We started testing the Profol range in 1967, and since that time the Profol formula has been continually monitored and improved, to become the outstanding treatments they are today. We now have effective hair loss treatments for a wide range of itchy scalp and hair problems. Within the range, we are able to address the problems associated with excessive male and female hair loss, itching head, baldness, alopecia, dandruff, severe scalp irritation, psoriasis, weak hair and other associated scalp and hair problems. We are well aware of the distress hair and scalp problems cause. We take a personal interest in all our patients and are always here to help. You will find our questions and answer pages extensive and informative. The section on how to select your treatment is exhaustive and has been designed to make selection of your treatment simple and easy. This clinic prides itself on its professional approach to our patients. If you are unable to identify your particular prescription, or have a specific question, we will be happy to answer your query. Simply go to the contact us link and send us an email. ￼The Julian Jay Hair & Scalp Clinic is registered as an expert advisor to the legal profession. Here at the Julian Jay Hair & Scalp Clinic, we have the hair loss treatments/scalp irritation treatments and the answer in the Profol range. It is important to understand that on average the life of a single hair is 3 – 5 years. Normal hair loss is defined as between 70 – 120 hairs per day. The hairs on your head germinate at different times, therefore they will not fall out or grow all at the same time. 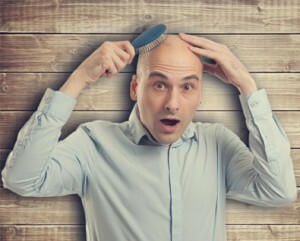 Stress can be a cause of male hair loss and hair loss is a major cause of stress. We do know that stress causes many forms of alopecia. However, the exact relationship between stress and Alopecia is unclear. 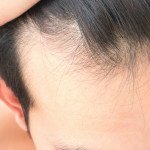 Male pattern baldness is the general term for Androgenic Dependent Alopecia. There are three factors generally involved in male pattern baldness. Predisposition to early hair loss, age, and too much converted Testosterone which becomes Dihydrotestosterone ( DHT ). DHT is the main Androgen involved in male pattern baldness. Some 95% of hair thinning and eventual baldness in men is caused by an excess of DHT. Dihydrotestosterone destroys the blood supply to the hair follicles. The onset of male pattern baldness generally starts with the hairline receding from the front to form an M shape, followed by the thinning of the crown hair. The hair between the crown of the head and the front then gradually thins until all or most of the hair to the top of the head is lost. There are other slightly differing patterns, but the one described is the most common. In all cases of male pattern baldness, the hair to the sides and back of the head remains, due to it being resistant to DHT. 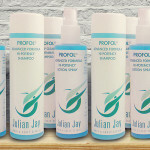 Profol Advanced Formula and Profol Original Formula ranges are designed to help restore the vital blood supply and nutrients to the hair follicles, without the need for damaging massage. 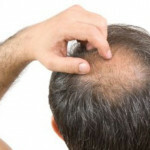 Male Hair Loss Treatments. It is important to understand that on average, the life of a single hair is 3 – 5 years. 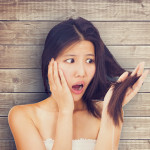 Stress can be a cause of female hair loss and female hair loss is a major cause of stress. We do know that stress causes many forms of alopecia. However, the exact relationship between stress and Alopecia is unclear. 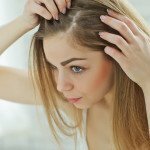 The pattern of hair loss in women is normally confined to a general thinning all over the scalp, including the sides and back. However, the front hairline is usually maintained. It is very rare indeed for women to lose their hair completely. Hair loss in women is associated with ageing, hormones, androgens or a genetic predisposition. By far the most common cause of hair thinning in women is due to Androgenic Dependent Alopecia. This is brought about by the conversion of Testosterone into Dihydrotestosterone ( DHT ). DHT is the main Androgen involved in female hair thinning. 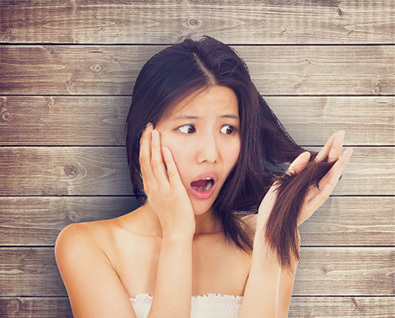 A very high percentage of women who suffer hair loss have an excess of DHT. Dihydrotestosterone destroys the blood supply to the hair follicles. Profol Advanced Formula and Profol Original Formula ranges are designed to help restore the vital blood supply and nutrients to the hair follicles, without the need for damaging massage. 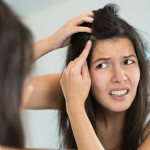 Female Hair Loss Treatments and Scalp Irritation Treatments.